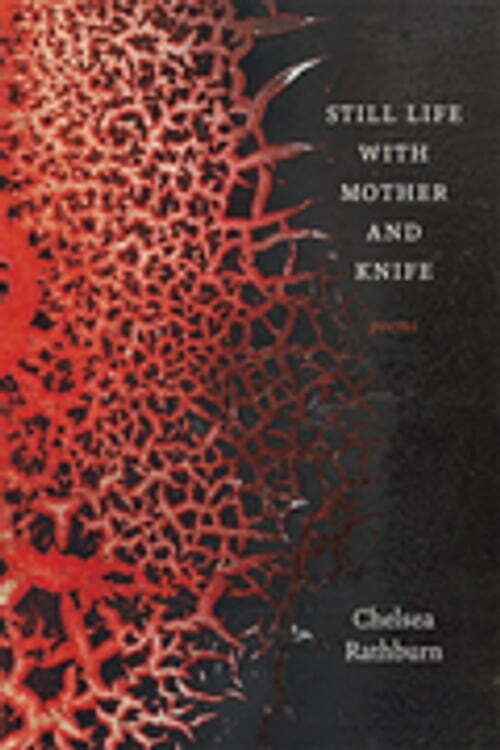 In this powerful collection, Chelsea Rathburn seeks to voice matters once deemed unspeakable, from collisions between children and predators to the realities of postpartum depression. Still Life with Mother and Knife considers the female body, “mute and posable,” as object of both art and violence. Once an artist’s model, now a mother, Rathburn knows “how hard / it is to be held in the eyes of another.” Intimate and fearless, her poems move in interlocking sections between the pleasures and dangers of childhood, between masterpieces of art and magazine centerfolds, and—in a gripping sequence in dialogue with Delacroix’s paintings and sketches of Medea—between the twinned ferocities of maternal love and rage. With singular vision and potent poetic form, Rathburn crafts a complex portrait of girlhood and motherhood from which it is impossible to look away.